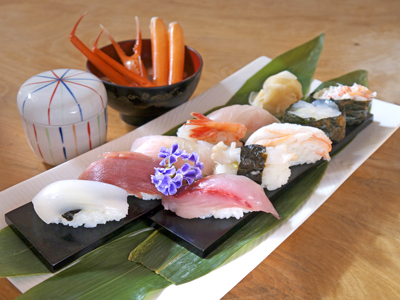 This sushi shop focuses on quality local ingredients sourced directly from the markets in the morning and during midday. The crab is cooked in front of your very eyes, and is delicious while piping hot. The shop also sells 5 different kinds of boxed sushi for all your souvenir needs.